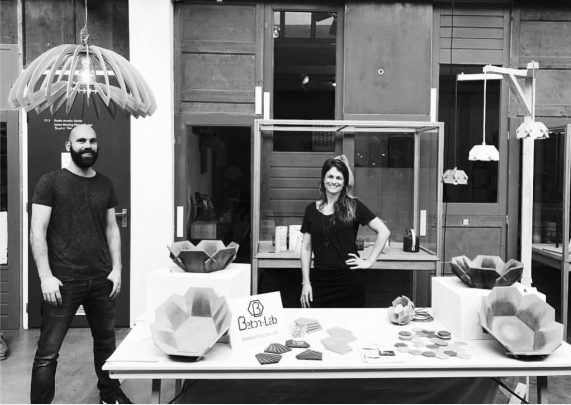 Beton-Lab was started by Marjolein and Jan-Paul and originated from the desire to create. We believe that man has been put on earth to give shape to the beauty we conceive in our minds with our hands. Unfortunately, reality is often different. We don’t create anything, we only produce. There is no time to really pay attention to what we do and what is made must be consumed as quickly as possible. We want to change this with Beton-Lab. We focus on simplicity and relevance. It doesn’t matter whether it is a product or an action. Because energy flows where attention goes. In this way we want to inspire others with our work and place the desire in them to be part of it. That’s why we changed our course in 2017. We’ve put our careers aside to go all-in to become concrete in making beautiful things out of concrete! After more than a year of study, research, testing and development, we have launched our first products on the market. Fortunately, there is much more to learn, giving us the possiblity to keep on developing and innovating for our customers and ourselves. And yes, even outside of work we are partners. 🙂 We live in Utrecht, Leidsche Rijn, together with our two little daughters.